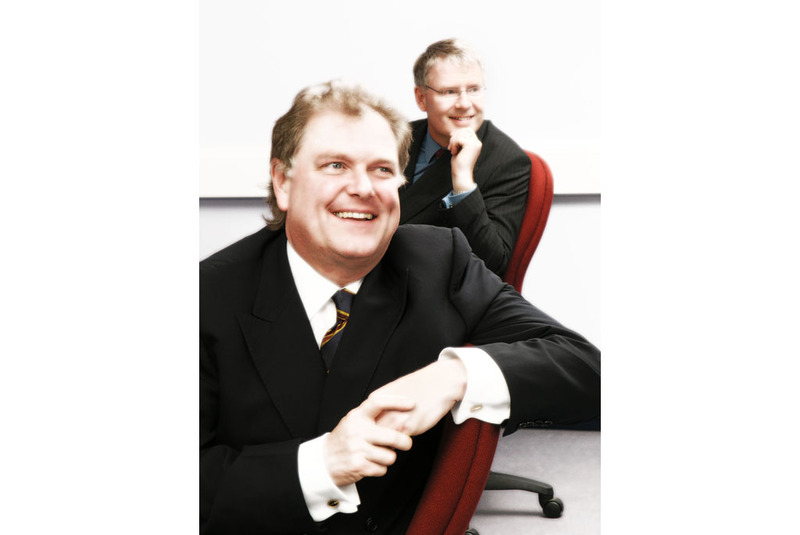 Corporate Portrait Photographer in London portfolio photograph 16. Portrait photograph of Sir Digby Jones, Business Ambassador at UK Trade & Investment. Photographed at CBI offices in the UK. Photography was done on location using portable flash to compliment the rooms existing ambient light. Photo retouching was done via Photoshop photo editing software to diffuse detail that both flattered those photographed and to create a unique and attention grabbing final image. Corporate Portrait Photographer in London portfolio photograph 14. 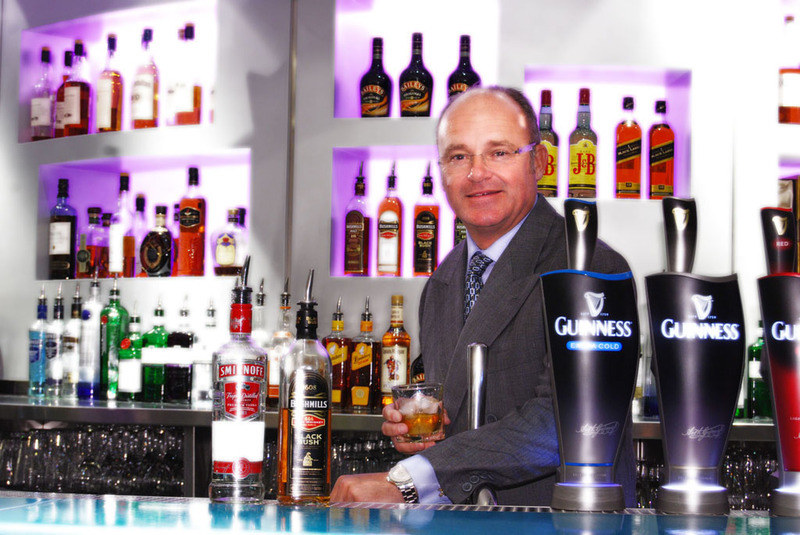 Diageo executive Paul Walsh photographed in the bar area in Diageo’the company’s headquarters in London UK. Lighting used for this corporate portrait photography was primarily the rooms exiting ambient light, complimented by one portable Metz flash, in the company’s bar area. The project was commissioned by Barrons Magazine. 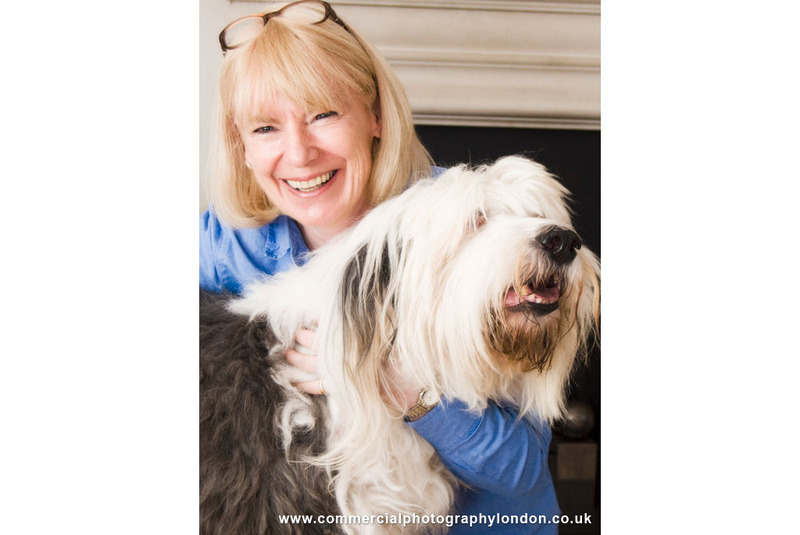 Corporate Portrait Photographer in London portfolio photograph 15. While formal portraiture was also required during this photoshoot in the clients home, this more relaxed photograph clearly shows the person behind the professional persona. Lighting consisted of one primary flash light, where the shadows were filled with a 2 metre high reflector placed to the right of the client. This corporate portrait photograph was then enhanced using Photoshop photo editing software, resulting in a soft overall look that both complimented the clients look and best reflected their dynamic personality. Annual Report Photographer in London portfolio photograph 15 – Portrait photography of Diageo executive Paul Walsh at Diagoe’s Headquarters in London, England.